In the year of the Snake, Oriflame gives you the snake skin collection in line with the latest trend in Paris, the fashion capital of the world. Snake skin bag, watch and sunglasses will bring you lots of good fortune. Have a happy recruiting month! 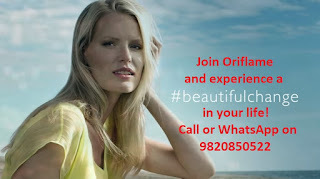 I wish all the Oriflame Consultants in India and around the world a great success! hi how can i get this bag. in which month catalogue it is being sold?? ?